What’s the future laptop will look like? 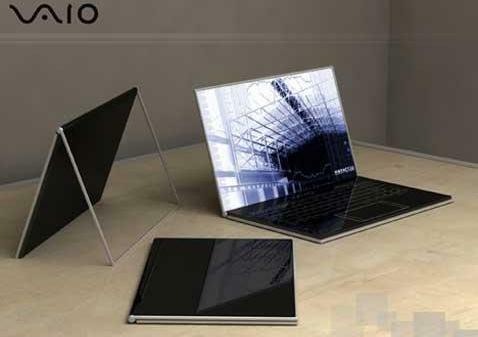 The Japanese consumer electronics giant, Sony has introduced its new VAIO Zoom that looks like future concept. It’s a cool, sleek and stylish notebook which features a touch-sensitive keypad, as well as a holographic glass screen that able to go transparent when turned off. For sure, an innovative and cool holographic glass screen that involved in VAIO Zoom doesn’t really exist in the market yet, it’s just a concept for now. Anyway, it’s pretty sure that many consumers would like to see a high-tech and fantastic laptop like this in the future.